The words “weight-loss” and “snacks” often appear in the same sentence. Let me give you my best weight-loss friendly snacks that aren’t just nutritious but also delicious! What’s my criteria you ask? They have to be nutrient-dense whole foods where a little goes a long way; foods that contain protein and/or fiber. It’s true – nuts contain calories and fat, but they are NOT fattening! Well, I’m not talking about the “honey roasted” ones, of course. Those probably are fattening. Studies show that people who eat nuts tend to be healthier and leaner. By the way, nuts also contain protein and fiber, which means a small amount can go pretty far in terms of filling you up. Not to mention the vitamins and minerals you can get from nuts. Did you know that almonds have been shown to help with weight loss? At least 10% of the fat in them is not absorbed by the body, and almonds can also help to boost your metabolism! Tip: Put a handful of unsalted/unsweetened nuts into a small container and throw it in your purse or bag. 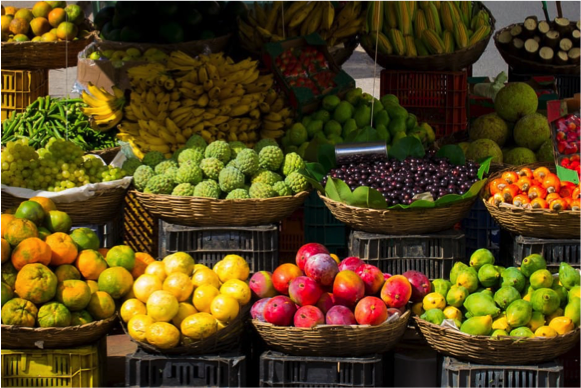 Yes, fresh fruit contains sugar, but whole fruits (I’m not talking juice or sweetened dried fruit) also contain a fair bit of water and fiber; not to mention their nutritional value with vitamins, minerals, and antioxidants. And fresh fruit is low in calories. Try a variety of fruit (apples, pears, berries, etc.) and pair that with a handful of nuts. Tip: Can’t do fresh? Try frozen. Plus, they’re already chopped for you. Chia is not only high in fiber (I mean HIGH in fiber), but it also contains protein and omega-3 fatty acids (yes THOSE omega-3s!). As well as antioxidants, calcium, and magnesium. Can you see how awesome these tiny guys are? They also absorb a lot of liquid, so by soaking them for a few minutes, they make a thick pudding (that is delicious and fills you up). Tip: Put two tablespoons in a bowl with ½ cup of nut milk and wait a few minutes. Add in some berries, chopped fruit or nuts, and/or cinnamon and enjoy! Eggs are packed with nutrition and most of it is in the yolk. They contain a lot of high-quality protein and a good amount of vitamins and minerals. And recent research shows that the cholesterol in the yolks is NOT associated with high elevated cholesterol or heart disease risk. Yep, you read that right! Tip: Boil a bunch of eggs and keep them in your fridge for a super-quick (and nutritious) snack! I don’t need to tell you how great these are for you, but just maybe I need to sell you on the delicious “snackability” of these nutrition powerhouses. Veggies contain fiber and water to help fill you up, and you don’t need me to tell you about their vitamins, minerals, and antioxidants, right? You can easily open a bag of baby carrots and/or cherry tomatoes and give them a quick rinse (they’re already bite-sized). Tip: Use a bit of dip. Have you put almond butter on celery? How about trying my new hummus recipe below? Go ahead and try one, or more, of these healthy snacks. Prepare them the night before if you need to. They will not be “tasteless,” like “cardboard,” or “completely unsatisfying.” Trust me. Put all ingredients into a food processor and blend until smooth. You may need to thin it out with a bit of water, so add it 1 or 2 tablespoons at a time and blend. Tip: Don’t like sesame? Use an avocado in place of the tahini, and olive oil in place of the sesame oil. Found this helpful? Don’t miss the next one, it’s FREE! I am a Holistic Health Coach who understands that there is no “one size fits all” approach to anything, including your health. I love showing others how to make small changes that are customized for their individual path to good health. Click here to learn more about Sonya Dusthimer. Enter your name and email below to receive my FREE gift.